Payday loans are high-cost, short-term loans, usually aimed at people who are low on money near the end of a month and need help to last until payday. Typical amounts borrowed are between £100 and £1,000, often borrowed for between 15 and 90 days. The lender will then be repaid the full amount, plus interest, at a later date. Payday loans have generally been easy for people to obtain, and combined with having a very high Annual Percentage Rate (APR), they have caused serious problems. It is therefore imperative that anyone considering a payday loan fully understands what payday loans are, and investigates alternative options, before they apply for a loan. Unless you are certain you can repay the loan on time, and won’t need to roll the loan over, you should not take out a payday loan. There have been a number of changes introduced by the government in order to protect members of the public from being trapped in uncontrollable debt, generally through restrictions on repayment fees. A new price cap introduced on January 2 means that customers will not pay more than 0.8 per cent in interest each day on the money they borrowed, and fines for late payments are limited to £15. 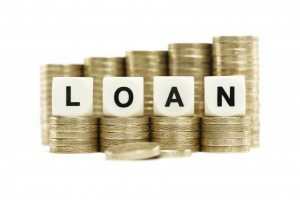 There is also a total cost cap of 100 per cent on the loan, which means that you never pay back more than double the amount you borrowed. For a loan of £100, the total you pay back (which includes all interest/fees/other charges) is limited to £200. There are several other names for a payday loan, such as a cash advance, a term loan, a three month loan or a wage day advance. © 2019 Payday Loans - Payday Loans UK.